Home / Blog / BCT seek more Education Volunteers to join the team as exciting learning programme develops! BCT seek more Education Volunteers to join the team as exciting learning programme develops! Over the last six months we have been making real progress with developing our education programme at BCT. Our wonderful volunteers Kris and Rachel have been working with teachers from key stage 2 & 3 to devise and pilot classroom based sessions on Newman Brothers and the Industrial Revolution and, working in partnership with the Canals & Rivers trust, canal heritage and cargo. We are also beginning to work with other heritage attractions in the Jewellery Quarter to develop mystery industry loan boxes and event days. Soon we will be commissioning an interpretative education professional to develop an interactive resource about Newman’s travelling salesman which we would like to trial with schools. This is such an exciting time and we are getting such an amazing response from the children who have visited the coffin works factory in the last few months. We KNOW that we have a very special, unique and engaging learning resource in the coffin works and we are looking for more education volunteers to help us increase our capacity to work with schools. In the next 12 months, while The Coffin Works restoration is under-way, we will mainly be taking Newman Brothers into schools and developing and testing school resources. 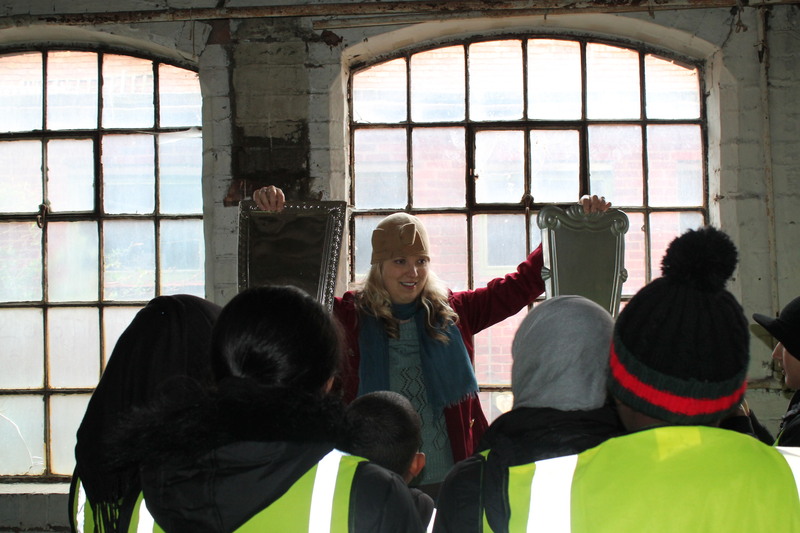 If you have a background or experience in education, love history and Birmingham’s industrial heritage, have a passion for inspiring young minds, can commit to deliver 2 school sessions a month (flexible, ad-hoc) for a minimum of 6 months and want to join a fantastic team of volunteers in the early stages of an incredibly exciting heritage project then please do get in touch. There is more information in our Role Description Education Volunteer. This volunteer opportunity is subject to a DBS check. Contact suzannecarterBCT@gmail.com or 07793 075737 for an informal chat. More details about our volunteering scheme can be found here.